Dr. Ellertson completed his undergraduate studies at Cal State Fullerton and obtained his Doctorate degree from the USC School of Dentistry. 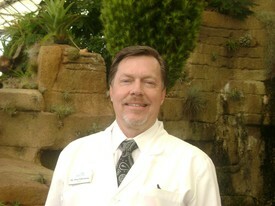 He routinely performs difficult extractions with the highest quality care and is well versed in most insurance plans. Dr. Ellertson encourages a strong soft tissue program, including Arrestin placement, laser assisted therapy and ongoing maintenance. He has developed a positive reputation from patients, gaining top feedback scores both internally and on sites such as YELP!. When Dr. Ellertson is not practicing dentistry, he can be found soaring through the skies in his glider or indulging in topics such as motor sports, classic cars, and current events. 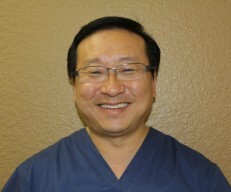 Dr. Lee received his Doctorate degree in Dental Surgery from Columbia University School of Dental and Oral Surgery and his Medical degree from New York Medical College. Moreover, he has completed his residency in General Surgery and Oral and Maxillofacial Surgery at the Long Island Jewish Medical Center / Albert Einstein Coll. Med. As an independent oral surgeon, he bestows other dental offices with his amiable dental expertise.